Knowledge and proper understanding of the stock and equity market is the stepping stone followed by the proper execution of the same, for becoming a successful trader. However, only after being knowledgeable enough about the technicalities of the market one can expect to trade with maximum profitability. Correct analysis needs the use of proper market indicators that can help you alter your decision for your own good. With so many indicators and trading rules being available on the market already, it is enough difficult for a beginner to understand the knick-knacks and tricks of the trade world. So the first rule is to point down to one or two particular indicators and know them thoroughly so as to use them to their best for all market-related decisions. ProRSI brings to you their set of Technical Analysis courses to help the amateur players take a grip of the trade world. Among many such courses, ProRSI has specially designed courses for each kind of indicator for detailed knowledge and easy application of the same. 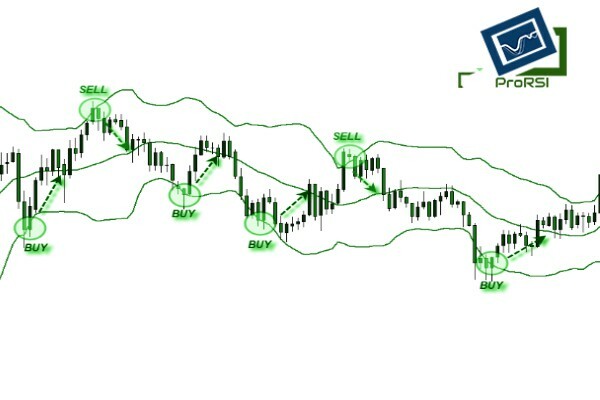 ProRSI’s course of Beginners Guide to Bollinger band trading rules is an ideal course for all you amateurs as well as traders unaware of the importance of Bollinger band. This particular course deals with introducing the various basic terms and concepts of Bollinger band indicator and using the same for your own profitability. As the name suggests, in this course one will be taught how to measure the market’s volatility with proper usage of Bollinger Bands. Unlike other Indicators like RSI etc, Bollinger bands do not conclude any number by which we can check the overbought or oversold conditions of the market. Instead, Bollinger bands are three lines (bands); one being the middle base, while the other two being the standard deviations up and down. The course aims to make its learners aware of this band patterns and the critical points of such bands, which can turn out to be a game changer for the trader.